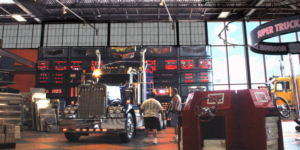 We thought that since we were going to be spending a few days at the Truckers Jamboree at the Iowa 80 Truckstop, we might share some brief history about the place. As most drivers know, the Iowa 80 Truckstop is huge. It is actually so large that it has earned the title of World’s Largest Truck Stop. Sitting on 220 acres and is four times larger than the average truck stop, with parking for 900 trucks, and 150 fuel pumps. 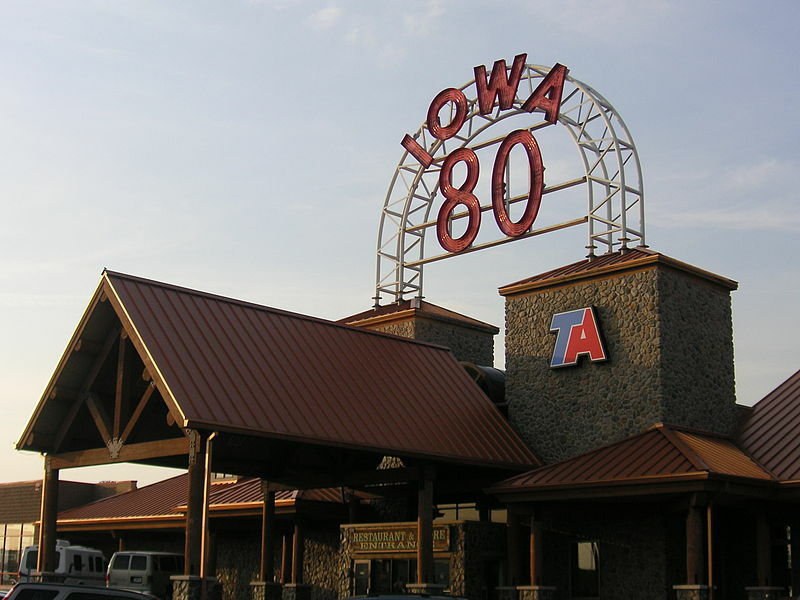 The Iowa 80 Truckstop started operations in 1964, before Interstate 80 was even completed. Standard Oil owned it, while Bill Moon, the founder, managed it. In 1984 Standard Oil sold it, and Bill Moon put everything he had, and even some from friends, into buying the truck stop. Once the Moon family took it over they began to expand it, slowly creating the massive complex that exist today. The massive facility now has its own restaurant which can seat up to 300 people, as well as many different fast food chain restaurants as well. It also has a gym and laundry services on site. Want to catch a movie on your down time, there’s a 60 person theater as well. You can also stop by the Super Truck Showroom, just don’t forget to stop by the gift shop before you leave. This year is the 38th Annual Truckers Jamboree at the Iowa 80 Truckstop. It started back in 1979 and was created to say thank you to all the drivers that pass through the stop. It’s a 3 day event with a Super Trucks Beauty Contest as well as an Antique Truck Show. So if you’re in the area feel free to stop by and visit. We will have Mercer Representatives there so stop by and say high to them while you’re exploring The World’s Largest Truck Stop.